Sinobaler's Quick-Lock Galvanized Steel Wire, also referred to as “Double-Loop Galvanized Steel Wire,” due to its unique design, with a loop on each end, offers a safe and fast method for simplifying baling operations. 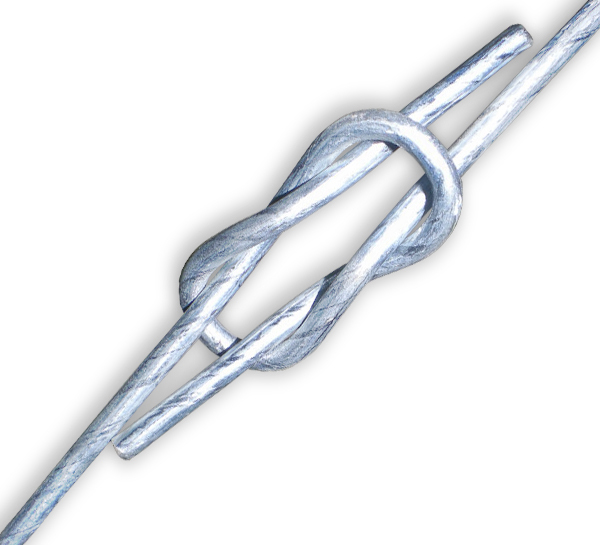 In order to lock the tie, the two end loops are simply snapped together to form a “figure eight,” without the need for any special tools. Sinobaler's Quick-Lock Steel Wire is made of galvanized high-carbon steel and has a very high tensile strength and resistance to breakage, making it ideal for tire baling. Mostly used to bind waste tire bales compressed by tire balers or compressed bales of other high-rebound material. Contact us today for your Quick-lock Galvanized Steel Wire with Loops needs and one of our professional representatives will answer all of your questions.